Nut milks are quite popular nowadays, but the majority of us just buys them in the supermarket, maybe because we think it is too complicated to make them or it takes too long. But neither of those are true! 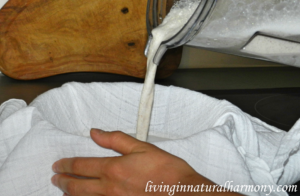 Making nut milk is really one of the easiest things you can do in the kitchen…and it only takes 10min (or even less)! And it’s not only super easy, but also much more affordable than the nut milk packages you might buy in the supermarket. And it is of course much healthier: it’s fresher and it doesn’t have the additives (sugar, preservatives, etc) included in many nut milks in the market. 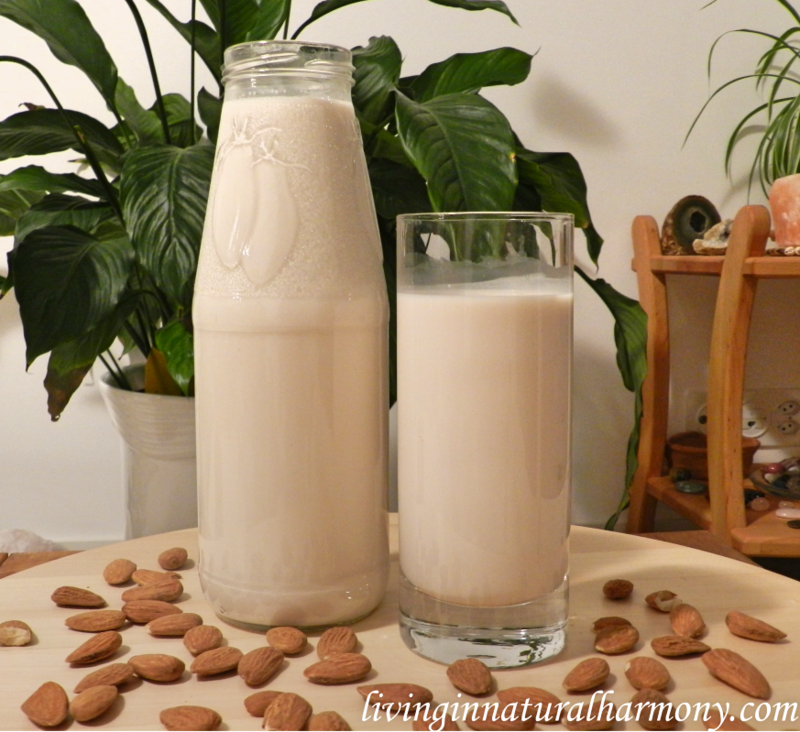 So, there really are many advantages of making your own nut milk :). 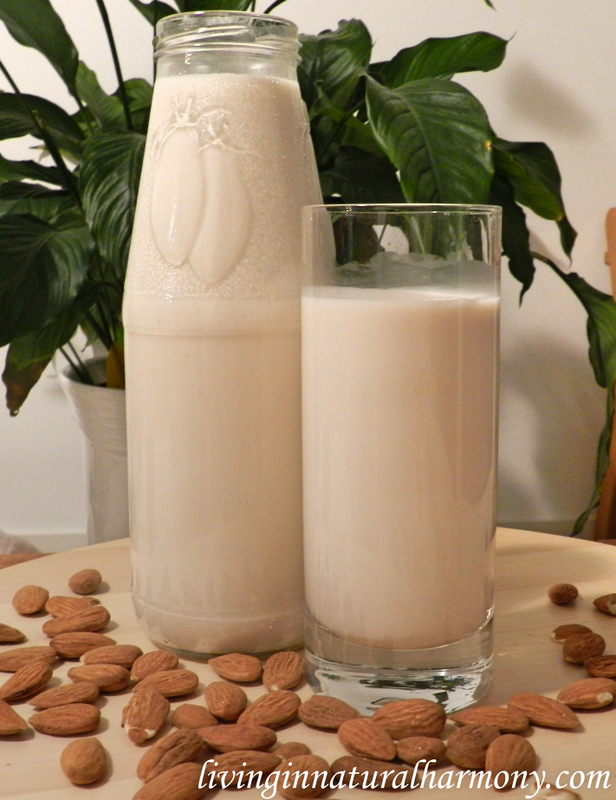 You can drink this nut milk or/and include it in other recipes, such as in sauces, smoothies, soups or desserts. – 200g of raw unsalted nuts. Here I used almonds but you really can use the nuts that you prefer (almonds, walnuts, hazelnuts, macadamia, Brazil nuts, pecans, etc). – optional: a pinch of vanilla, cinnamon, carob, cacao or even turmeric powder – chose the one(s) you prefer! 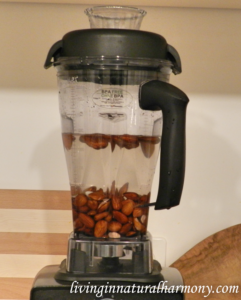 1.Soak the nuts in water for about 8 hours. 3. Add all ingredients to your blender. Blend on the highest speed until the liquid is almost homogeneous (~1-2minutes). 4. 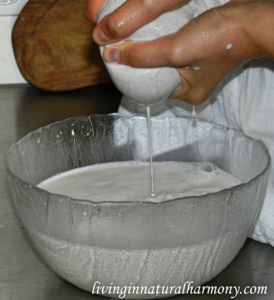 Place your nut milk bag/cheesecloth over a large bowl and slowly pour in the milk. A lot of the milk will go right through the bag. 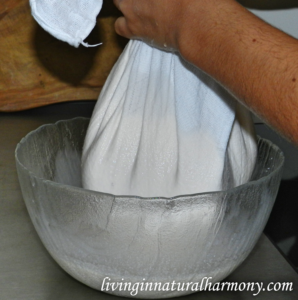 However, to get all of the milk out, gently squeeze the bag/cloth. 5. 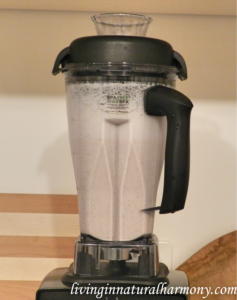 Rinse the blender quickly and pour the milk into the blender and then into a jar. I do this because it’s easier to pour the milk from the blender into a jar rather than directly from the bowl. 6. Place the nut milk in the fridge. The milk can keep in the fridge for about 3-4 days.